Edinburgh’s compact size makes it the perfect place to explore in a weekend. In the space of 20 minutes you’ll move from the impressive facades of the Georgian New Town, through the quirky, medieval streets of the Old Town and into a pocket of countryside right in the middle of the city, Holyrood Park. Step back in time at one of the capital’s many historical monuments, before treating yourself to a sophisticated cocktail on central George Street. There’s something special to discover in every nook and cranny of this eccentric city. Be bold and join in on Edinburgh’s enthusiasm for fusion food. Spicy haggis makes a surprisingly delicious pairing with Indian and Mexican food: seek out samosas and nachos to make the most of this misunderstood Scottish delicacy. Visit Stac Polly for some authentic local dishes in traditional surroundings. And if you’re after a sweet treat to offset all that hearty grub, Bon Tea Room’s exquisitely decorated cakes look almost too good to eat. Almost. 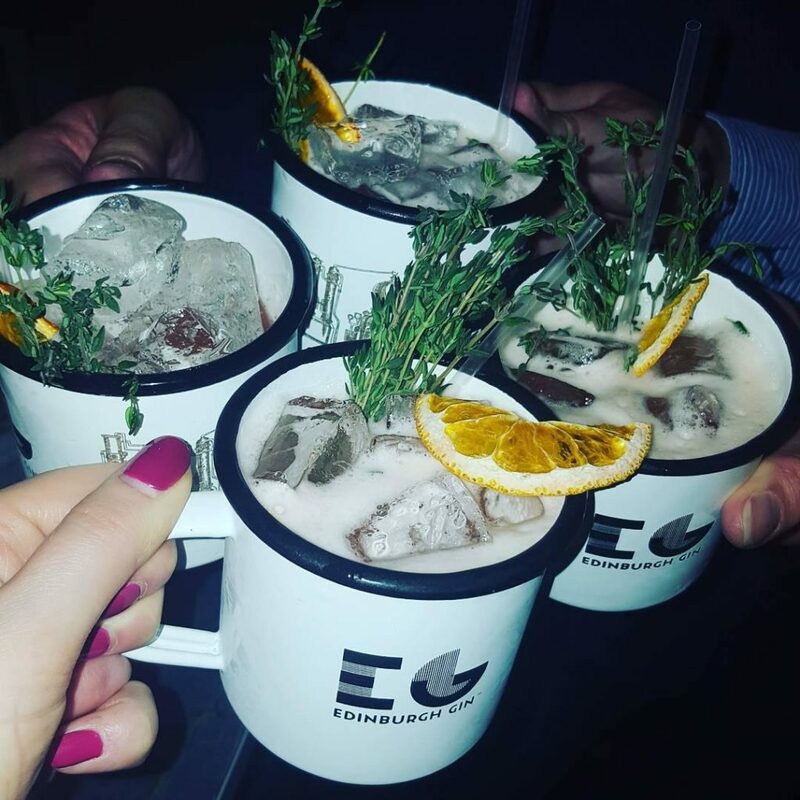 Saturday night calls for spirits, and as Edinburgh is the hub of Scotland’s recent gin boom, you’ll be spoilt for choice. Seek out Heads & Tales for the largest selection of labels, from the Highlands all the way down to the Borders. If juniper’s not your thing, you’ll find plenty of upscale cocktails at the Dome on George Street or the ornately decorated Voodoo Rooms nearby. To put it bluntly, get up early. You’ll want to fit in as much as possible and beat the crowds. 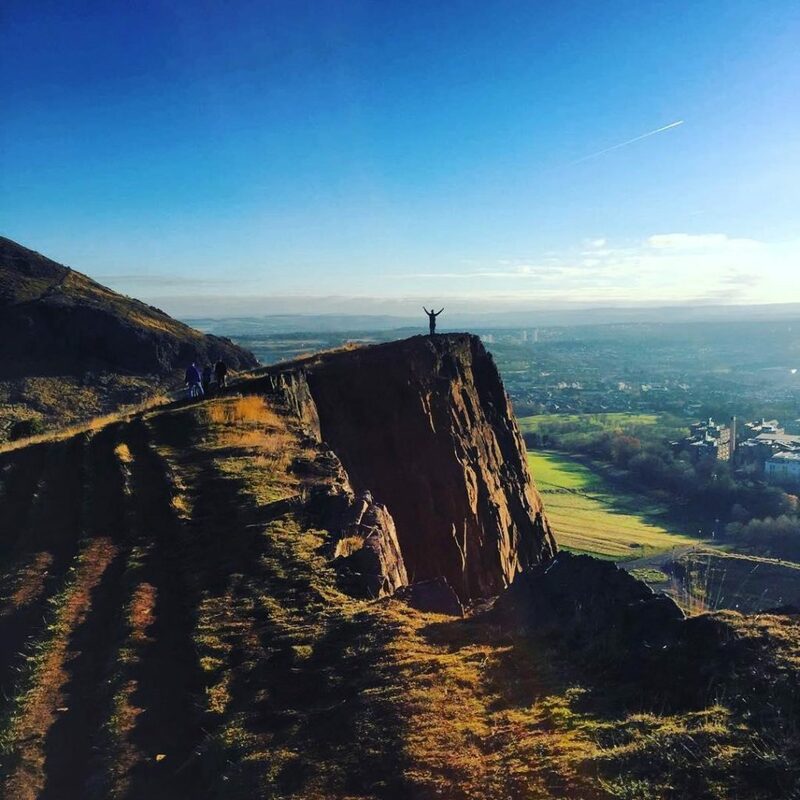 Wake yourself up with a brisk walk up Arthur’s Seat for a panoramic view across the city and the coast. See if you can discover the ruins of a fort tucked away somewhere in the grounds. While you’re in the area, stop by Dr Neil’s Garden in Duddingston – one of Edinburgh’s many hidden gems. Explore the native flora and relax by the tranquil pond. This secluded spot is the perfect place to catch your breath before hitting the must-see National Museum of Scotland and the world-famous National Portrait Gallery. For a spooky adventure, make time to take one of the historic walking tours of Edinburgh’s underground vaults. Concealed beneath the city, these fascinating chambers were sealed for generations. Surprising signs of human habitation were discovered when they were finally opened in 1985 – along with a wandering spirit or two. Edinburgh’s high streets are packed full of well-known stores – and if you dig a little deeper, the city also has incredible independent boutiques to browse through. Hannah Zakari’s specialises in quirky handmade jewellery from a range of artists. And for a slice of history, visit Mr Wood’s Fossils where you’ll find everything from dinosaur teeth to meteorites. Stockbridge Sunday market is a delightful way to spend an afternoon. It’s packed with over 100 traders, selling local street food and unusual trinkets. Those looking for a one-of-a-kind find will enjoy window-shopping in Stockbridge – this bohemian area is known for its thrift shops filled with designer bargains and up-to-the-minute boutiques.